Property 1: Lakeview cabin with beach access, screened-in porch, gas grill, and more! 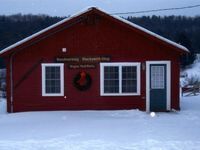 Property 2: Cabin rentals near Stowe, Smuggler's Notch, breweries and hiking trails. Property 3: Beautiful 2 bedroom condo with sleeping loft. Walk to lift, ski home!! Property 17: The Farmhouse at Killington: Totally Renovated 2RM/2BA Condo, Sleeps 6, Resort! Property 19: Beautiful 2-BR Ski-in, Ski-out Village Condo at Jay Peak, right on the slopes! Property 22: Gorgeous house with mountain views & large yard - close to skiing & more! Property 23: All Season Village Retreat at The Mill Condominiums in Ludlow VT.
Property 25: Convenient condo w/ shared pool & hot tub - mtn views, near town & slopes! Beautiful ski-in, ski-out 2-BR Village Condo at Jay Peak, right on the trail! Property 30: Beautiful ski-in, ski-out 2-BR Village Condo at Jay Peak, right on the trail! NEW LISTING! Dog-friendly cabin w/firepit - ski/golf at nearby mountains! Property 34: NEW LISTING! Dog-friendly cabin w/firepit - ski/golf at nearby mountains! Property 41: Great Location, new lower rates on access road to Burke Mountain Ski Area . Property 48: NEW LISTING! Studio condo w/ shared pool and hot tub, walk to ski lifts!